General Plastics Manufacturing Company goes beyond simply making rigid and flexible polyurethane foams. As part of our production services, we also provide innovative tooling and molding solutions to fit the unique needs of our customers. Through new technology and a high demand for intricate detail, the tooling industry is evolving and with it, General Plastics. Beyond building tools in-house to fit demanding requirements, we can build tools and make parts, procure a mold or use one customers provide. General Plastics also works with casting composites in making molds, allowing us to do things that a machine cannot, such as accomplishing shapes and patterns. We can provide tooling made from steel, aluminum, high density foam, and composites. Because we know our foam better than anyone, it’s our familiarity with these specific materials and the applications they go into that sets us apart. Our strengths lie in our collective knowledge and experience, and our ability to handle the hard stuff. From developing new formulas to meeting a specific temperature range, we can provide custom materials and service for any shape. Aircraft interior parts such as gap seals, flexible seals, and padded flight deck parts are not just square boxes, meaning they have a more complex shape that includes texture and curves and will require 3D rendering. In keeping up with the latest and greatest in tooling, General Plastics has the ability to adapt to even the most intricate 3D designs. “Designers are using 3D software to create organic looking shapes,” said Plant Manager Joe Nichols. Today’s 3D technology allows designers to be more inventive with the shapes they apply so it’s rare that we see a straight line or a circle anymore. “They challenge us on how to make the tools, figure out how to get the part of out the tool successfully, and then complete the project,” said Nichols. With General Plastics’ on-time delivery and quality assurance, people have been turning to us for years with unique shapes, requirements, and physical properties. Being able to specially formulate, and achieve those requirements give our customers the best possible results. One project called for creating tools using a material that was not standard to us. They required a specific tolerance and shape. Despite using an unfamiliar material and exploring different process, we were able to fabricate the tool to what the customer wanted. According to Nichols, we now apply this method regularly for this customer. Another customer wanted a tool that would be long lasting. With composites in our wheelhouse, we were able to accomplish the customer’s end-goal with a composite mold instead, reducing lead time and tooling expenses. This goes back to working closely with the designers to understand how we can accomplish their requirements by being able to make a tool either for the process we’re trying to support or geometries that might need a minor adjustment. General Plastics makes sure to apply routine metrics to what we do and use them as a tool that drives us into improvement; as a road map that drives new solutions, alternate techniques, a new method of fabricating materials that better meets our customers’ timeline and cost constraints. On spec and on-time is fundamental to everything we do and how we deliver the materials to our customers. 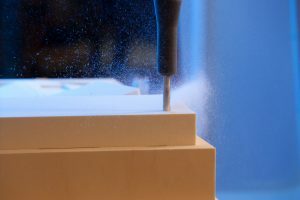 The decades General Plastics has had of providing specific polyurethane foams to different industries gives us the knowledge to help our customers with whatever application they are looking for. Can’t get enough of our blogs? Subscribe today. Call us at 866-825-1378 to discuss how we can find a solution for your application.